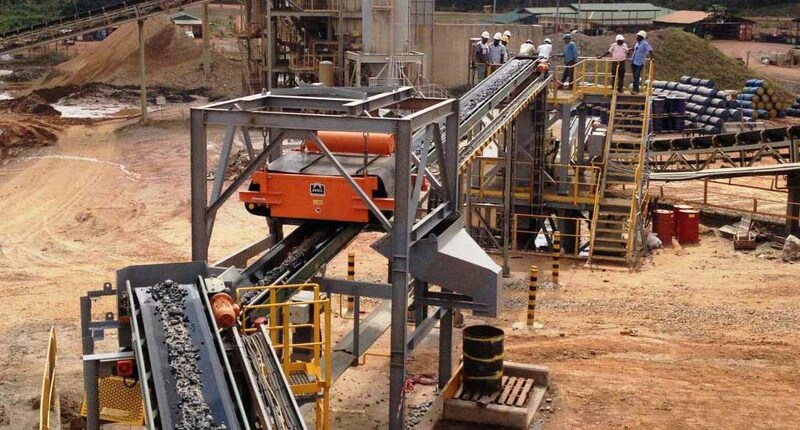 Nzema Pebble Crushing Circuit Design – The Nzema Gold Mine is located in south-western Ghana and began full scale production in April 2011. Open pit ore is processed at the 1.6 to 2.1Mtpa plant (depending on ore type) and gold is recovered through a standard gravity-CIL process. In May and June 2014, Mintrex designed a pebble crushing circuit with a nominal throughput of 10tph (max. 40tph) to enable increased plant throughput against a lump sum quotation. Sanki conveyors and a Metso HP100 cone crusher were used in the circuit, which was based on the Tabakoto Pebble Crusher Design delivered to Endeavour in May. The Nzema Pebble Crushing circuit was a duplication of the design done for Tabakoto, modified for site specific conditions. The design and engineering (concrete, steel and plate – including shop detail drawings) was completed for a fixed price with no variations or extras and within the agreed schedule.